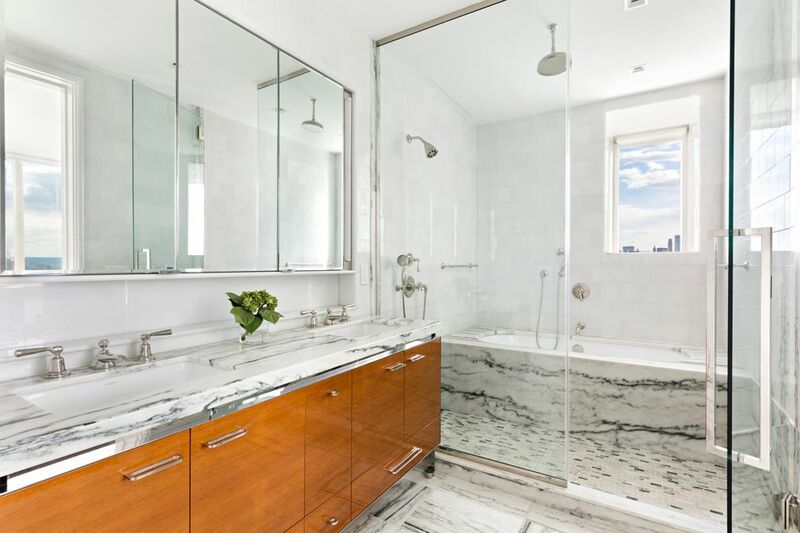 45 East 22nd Street Apt 31A, New York, NY 10010 | Sotheby's International Realty, Inc.
$6,750,000 2 Bedrooms2 Full Baths2,000 sq. ft. Stunning Views! This is Luxury at its best! 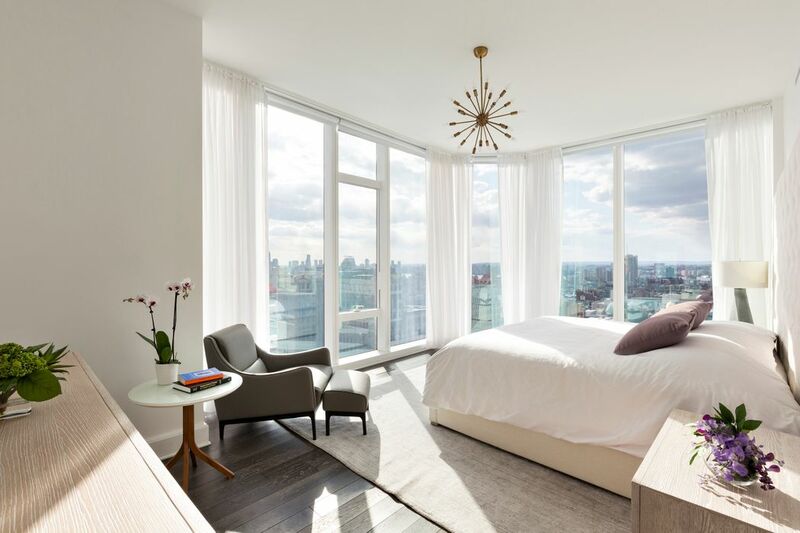 This gracious 10 ft ceiling two bedroom, two bath residence in the sky features a corner living/dining room surrounded by floor-to-ceiling windows showcasing breathtaking river-to-river & Midtown skyline views. 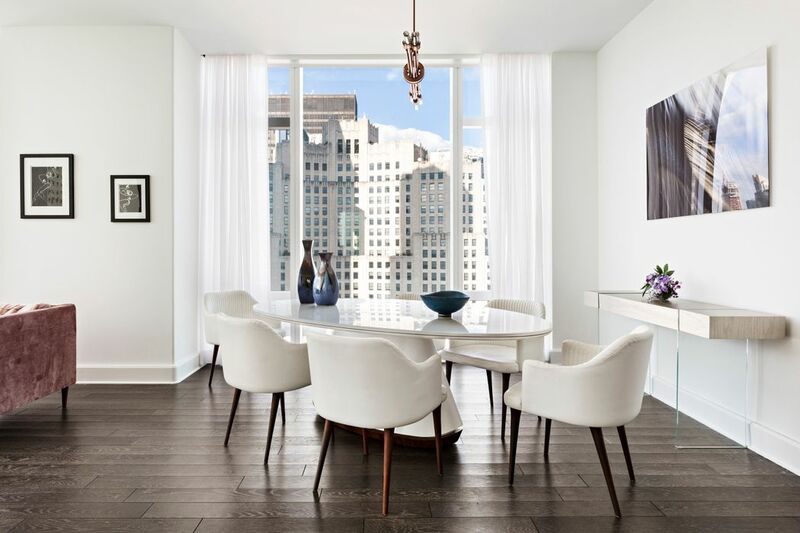 The Living room & Dining area are spacious and inviting while gazing at the New York city iconic buildings. Enjoy sunsets & sunrise every day and evening from all rooms. 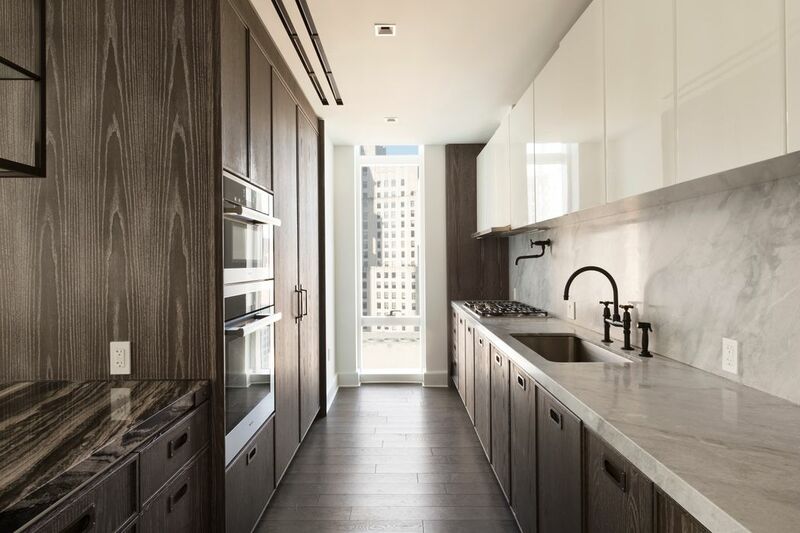 The windowed kitchen features marble countertops and backsplash, Nanz hardware, Sub-Zero & Miele appliances, custom-designed cabinetry by Molteni including high gloss white lacquer upper cabinetry & framed solid white oak lower cabinetry. Adjacent to the kitchen, a solid-oak paneled wet bar with marble countertop and Sub-Zero wine refrigerator complements the space. The corner southwest facing Master Bedroom Suite includes a large walk-in closet, five fixture windowed master marbled bath with custom wood vanities, Waterworks fixtures and abundant natural light. Kraus home automation systems. There is Kraus home automation systems and a washer dryer in this exquisite home. 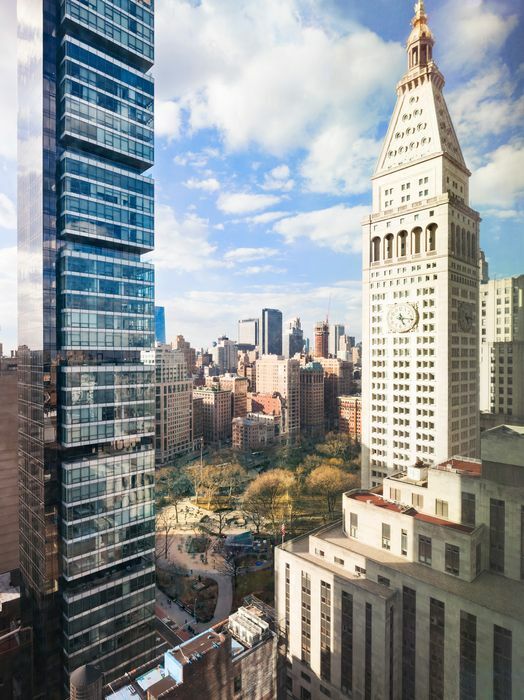 Madison Square Park Tower is perfectly positioned in one of the most iconic and culturally sophisticated neighborhoods in the Flatiron District at Madison Square Park. Transforming the downtown skyline, this soaring tower is a sculptural glass silhouette standing at sixty-five stories rising seven hundred and seventy seven feet in the sky..
Floor-to-ceiling windows offer a dramatic cityscape that includes the Empire State Building, Chrysler Building, the clock tower at 1 Madison Avenue, World Trade Center, the Hudson & East Rivers and Madison Square & Gramercy Parks. The collection of amenities throughout five floors consists of a fitness center with boxing and private training suite, golf simulator, basketball court, childrens playroom, library, billiards, cards room, terrace with outdoor grill, and two gracious entertaining spaces including a fifty-fourth floor lounge. All furniture is included in the sale.adison Avenue, World Trade Center, the Hudson & East Rivers and Madison Square & Gramercy Parks. 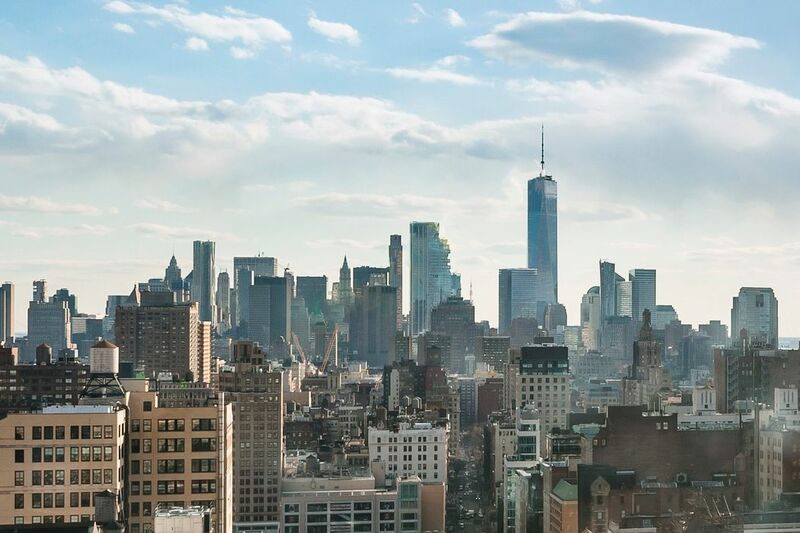 This gracious 10 ft ceiling two bedroom, two bath residence in the sky features a corner living/dining room surrounded by floor-to-ceiling windows showcasing breathtaking river-to-river & Midtown skyline views. 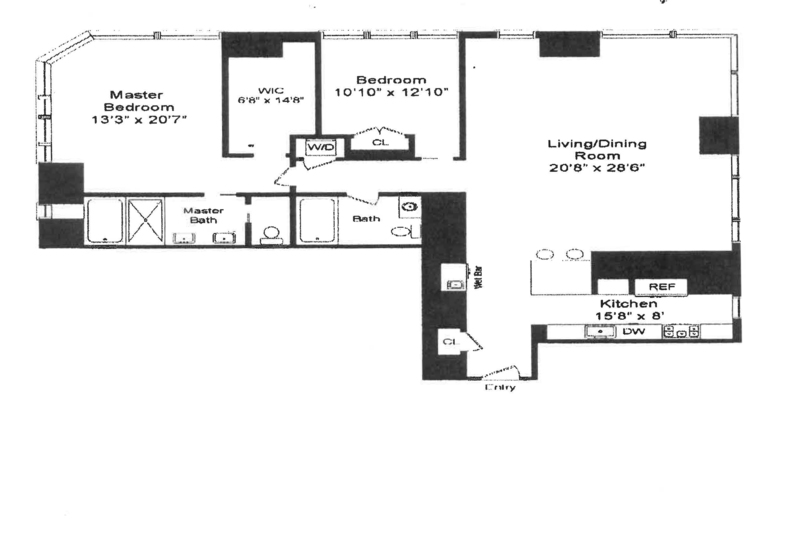 The Living room & Dining area are spacious and inviting while gazing at the New York city iconic buildings. Enjoy sunsets & sunrise every day and evening from all rooms. 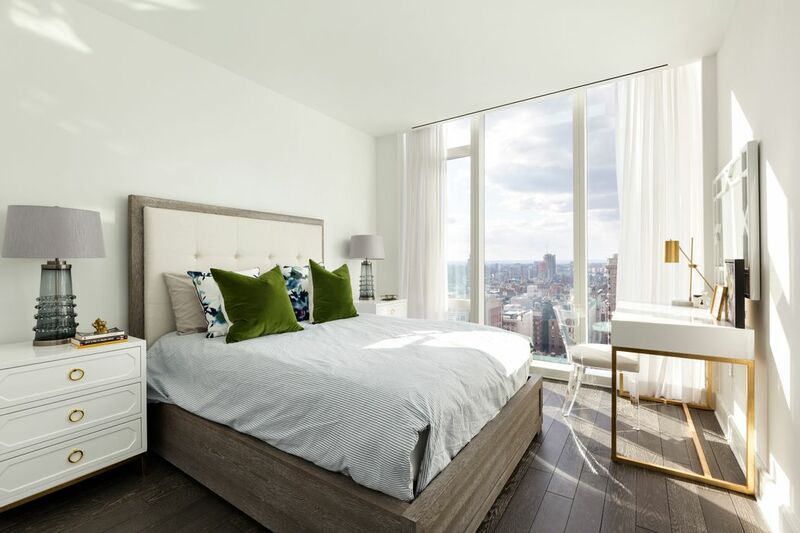 The corner southwest facing Master Bedroom Suite with views of the Freedom Tower, 3 bridges and more includes a large walk-in closet, five fixture windowed master marbled bath with custom wood vanities, Waterworks fixtures and abundant natural light. Kraus home automation systems The windowed kitchen features marble countertops and backsplash, Nanz hardware, Sub-Zero & Miele appliances, custom-designed cabinetry by Molteni including high gloss white lacquer upper cabinetry & framed solid white oak lower cabinetry. 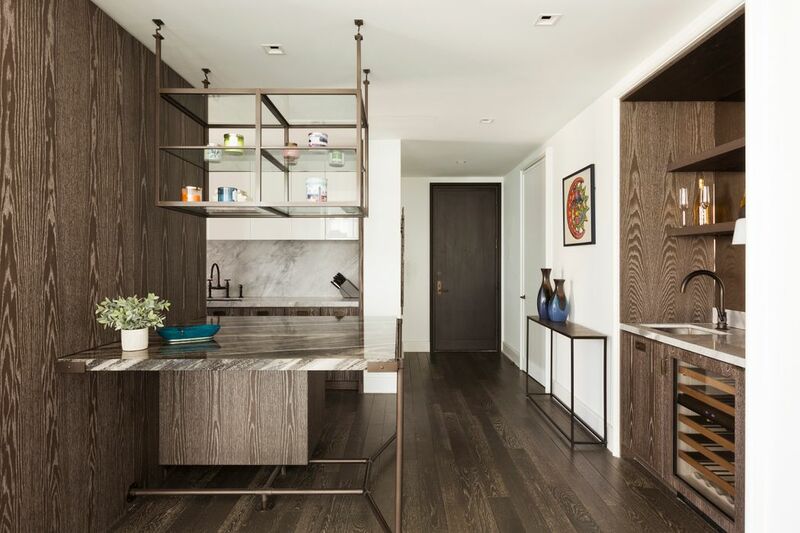 Adjacent to the kitchen, a solid-oak paneled wet bar with marble countertop and Sub-Zero wine refrigerator complements the space. The corner southwest facing Master Bedroom Suite includes a large walk-in closet, five fixture windowed master marbled bath with custom wood vanities, Waterworks fixtures and abundant natural light. Kraus home automation systems. There is Kraus home automation systems and a washer dryer in this exquisite home. 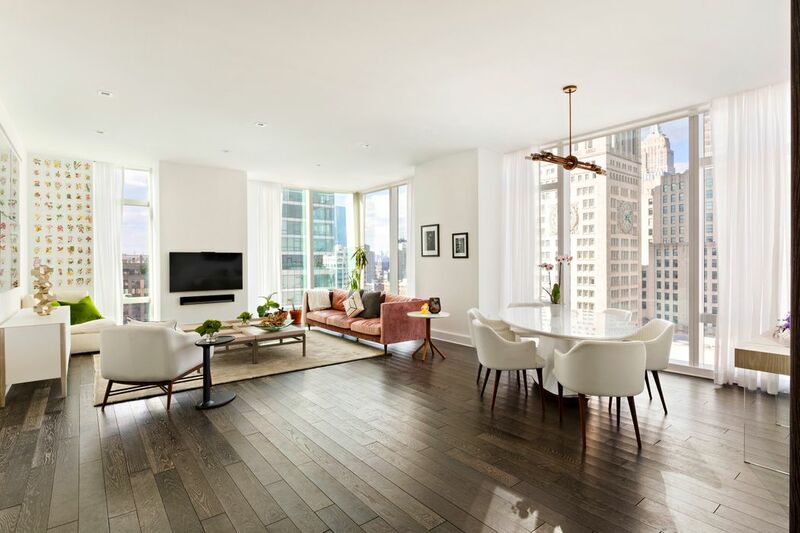 Madison Square Park Tower is perfectly positioned in one of the most iconic and culturally sophisticated neighborhoods in the Flatiron District at Madison Square Park. Transforming the downtown skyline, this soaring tower is a sculptural glass silhouette standing at sixty-five stories rising seven hundred and seventy seven feet in the sky.. Floor-to-ceiling windows offer a dramatic cityscape that includes the Empire State Building, Chrysler Building, the clock tower at 1 Madison Avenue, World Trade Center, the Hudson & East Rivers and Madison Square & Gramercy Parks.